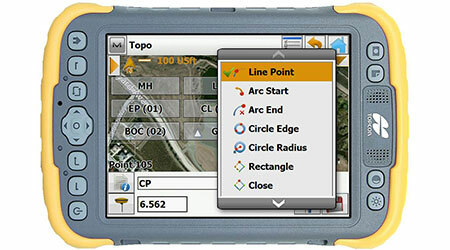 Powerful and intuitive field application software that enables users to collect survey mapping data and perform construction and road layout using total stations, levels, and GPS. MAGNET Field is all about intuitive efficiency. Whether you are working within your hosting Real Time GNSS Network or in the middle nowhere, MAGNET Field data collection software is a modern and easy to use solution. Offering an impressive library of supported file formats, your current or historical third party data can quickly be imported, checked, and then continued. As mentioned, MAGNET Field provides the ability to log in and connect to your MAGNET Company Account. With a connection made to your company’s personal, safe and secure Cloud storage, you can effortlessly upload your field work. 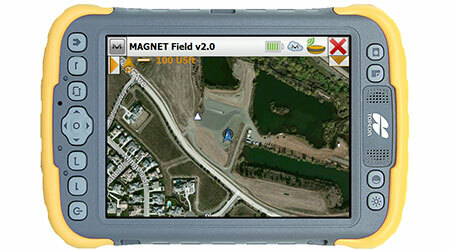 This field work is then instantly available to all other MAGNET Company Users. ..the field component of collaborative digital mapping! 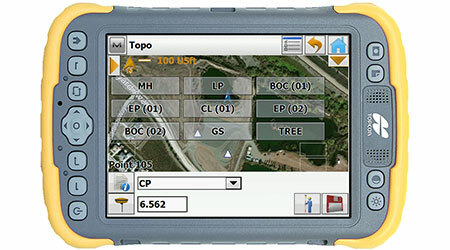 Within the Stakeout (navigation), Topo (data collection), and Map screens, users can tap and turn on either street names and/or satellite imagery as a background. Powered by Microsoft Bing™, a supporting background map is just a tap away. Through a quick two-step sequence, users can create a three dimensional surface from their field measurements, optionally then have contour lines drawn on this surface, and finish by deriving a Volume Report all while still standing at the project site. The resulting Volume Report can then be sent instantly up to the Cloud and shared / reported to others anywhere in the world or simply back at your office. Benefiting from a quick standardization between a company’s new or existing Code Library, MAGNET Field will share the exact color, layer, symbol, linetype, and attribute information as your CAD software. As field measurements are made, they will automatically generate three dimensional linework. Resulting linework can then be exported in a large library of file formats. As you use MAGNET Field, your habits become known and learned by the software itself. For example, during your typical data collection, as you declare Rod Height changes, ask how far it is (inverse) between points, perform road staking, etc. ..MAGNET Field will then learn and store your custom settings. 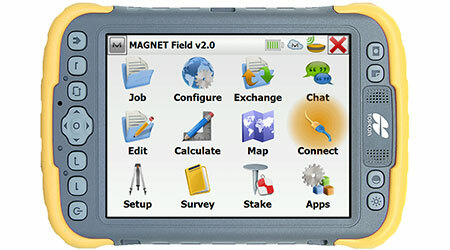 As you progress from project to project, MAGNET Field data collection software will be your personal solution.